Fantastic bird photo, you even got some eye glint. What a pretty and uniquely colored bird. I like the comp. 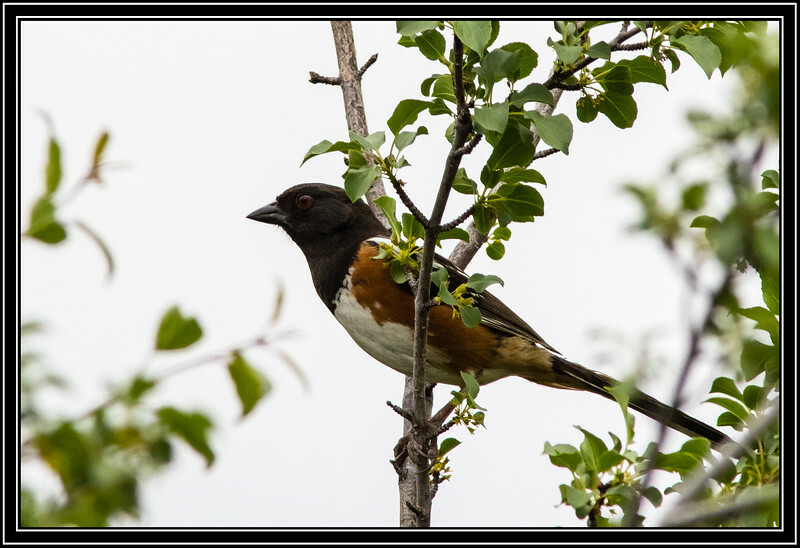 Great catch of the towhee! Thanks for the Correct ID "Rufous Sided Towhee"
It's a pretty bird, nicely photographed. Mainly because of the black beak (whereas a robin has a yellow, or in case of a leucistic robin, a spotted beak), I'm weighing in on the side of it being a towhee.